Inventory Count Guide – Pacific Amber Technologies Inc.
Read through the entire inventory count guide before starting your count. Prepare all physical inventory for count (organize items, reprint missing or damaged barcode tags, setup store sections for inventory batches). It is recommended that you make sure all physical inventory is transferred in as well as received and posted. Make sure all items in stock are part of the count. Ensure that the inventory scanners are fully charged, all cables are hooked up, and that Active Synch software is loaded on your terminals. Prepare your layaways and cancel ones that are not going to be picked up, if you plan to include layaways in your count. Print a list of your outstanding layaways, to ensure that you have the items (Generating a List of Outstanding Layaways). Set up portable inventory scanners. 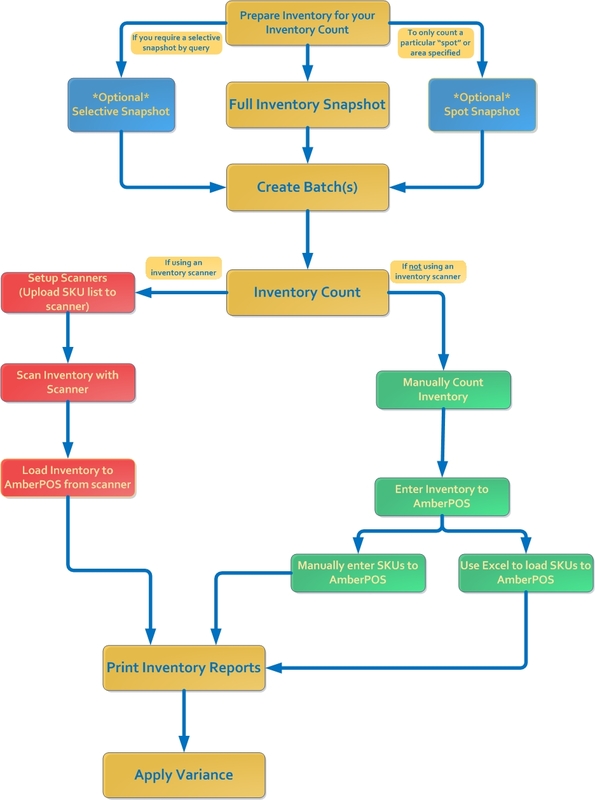 (Inventory Count Scanner Guides) Note that this step is not needed if you are renting scanners from Pacific Amber. Unplug the scanner from the USB and begin count of the first batch. Each person counting a batch area should do one batch and then upload the count info for that batch before going on to the next one. Once you have accounted for all variances in your count, it may be useful to print out inventory variance report for your records, as well as to help make any further adjustments. Once all reports are done, the final step is to apply the final count totals to your inventory.